ChargeIt by Jay Silver Pebbled Round Melamine Charger Plate 13"
Home > Products > ChargeIt by Jay Silver Pebbled Round Melamine Charger Plate 13"
Add class and sophistication to your formal catered events with the ChargeIt by Jay Silver Pebbled Round Melamine Charger Plate 13". 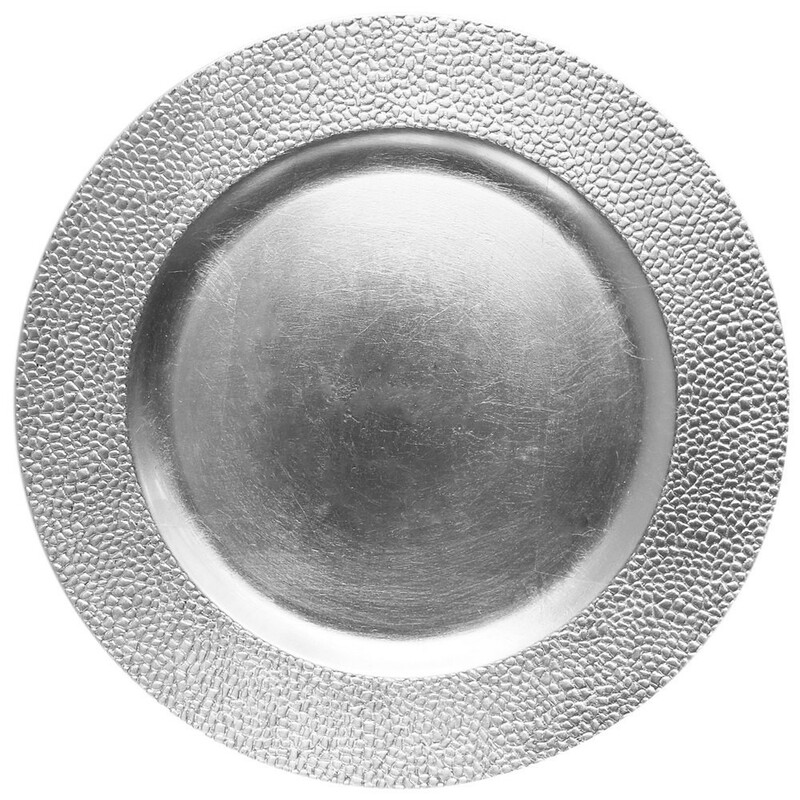 Accented with a pebbled rim, this charger plate draws attention to your dinnerware while adding an upscale look to wedding receptions, engagement dinners, and other formal events. Providing the look of china at a fraction of the cost, this stunning silver charger plate is made from premium quality melamine that is exceptionally tough and durable. Stylish and functional, this charger easily accommodates any size plate and protects against spills and mess. Hand washing is highly recommended to properly clean and care for this charger plate.